Usually after one reaches 40 years of age, eyebrows start to sag in a certain manner and deep frown lines above the nose root begin to appear. This can be improved by an operation under general anesthesia lasting approx. 60 minutes, in which the eyebrows are lifted and the function of the mimic muscle above the nose root is restricted. 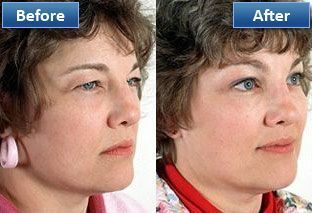 Lines in the operated area are then straightened by the natural elasticity of the skin. The operated anatomical structures are penetrated by the armamentarium and optical devices typically from 4 skin incisions, about 1.5 centimeter long each, located behind the hairline. The time of surgical healing with this intervention is 2 weeks. Return to full load conditions is possible 4 weeks following the operation.